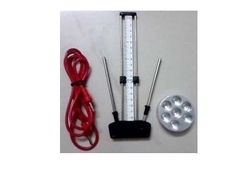 We deal in Indian made Lecher Antenna which shows very good results. I can be used in healing, curing health problem, rectifying Vastu etc. The Lecher Antenna is a subtle energy measuring device that can also be used to stimulate meridians and enhance the health of human and animals and their energy fields. 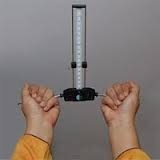 It is used by energy workers, therapists and clinicians interested in measuring human compatibility and the effects of different electro-magnetic fields. Lecher Antenna Vastu Rectification:Ernst Lecher discovered the principle of measuring energy in 1890. The Lecher Antenna was developed by German physicists in 1975 supported Dr. Lecher’s principle. In ancient days “Intuition was the one and only way to notice the body vibration. It can’t be proven. We are engaged in offering Lecher Antenna. We are counted as one of the famous organizations for offering Lecher antenna. Sri Venkateswara Agencies Pvt. Ltd. The Cosmic Energy Lecher Antenna of German model rectifies the problems of Body, mind level & living place. This antenna is modified in nano technology of science and it identifies the various problems and solve them.